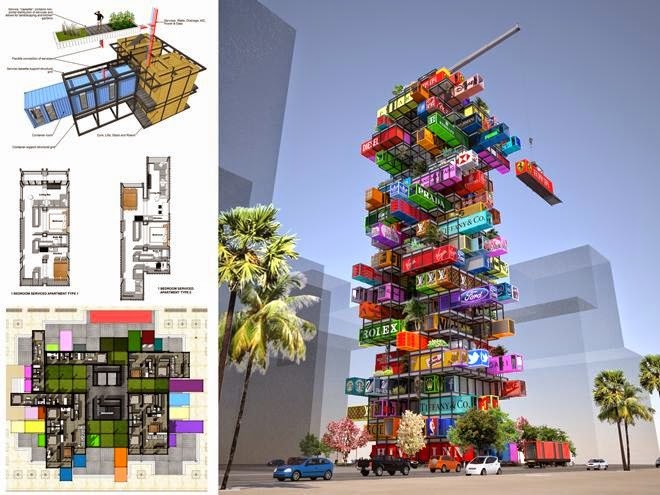 This modular design is a favorite to win the Radical Innovation awards, and Sky's the Limit!!! 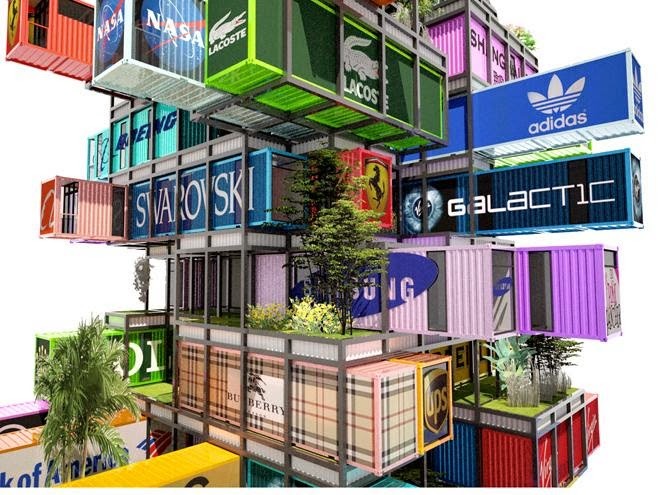 Imagine a hotel room made from a shipping container and Uber luxurious! 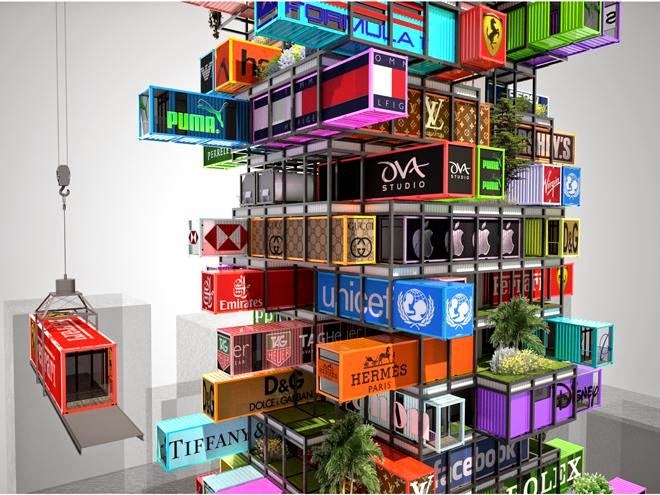 Imagine the room is themed with your favorite brand, fashion and or designer labels such as Tiffany & Co, Burberry, Alexander McQueen, Hermes, Rolex, Ferrari, and more!!! 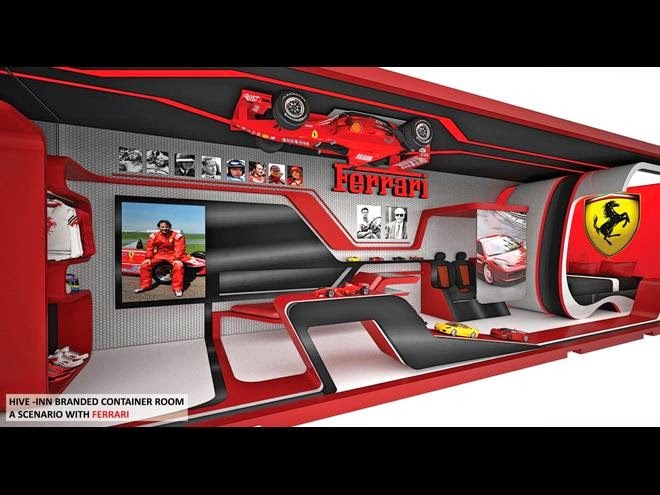 Where do I sign up!!! 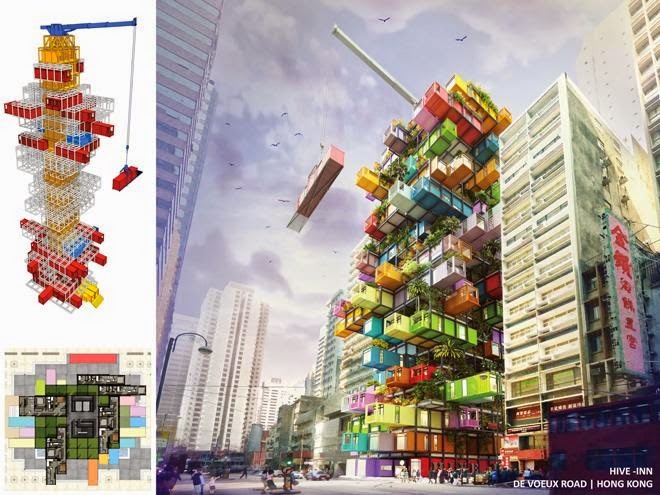 This clever and creative architectural concept, The Hive-Inn, was dreamt up by the Hong Kong-based architects at OVA Studio. 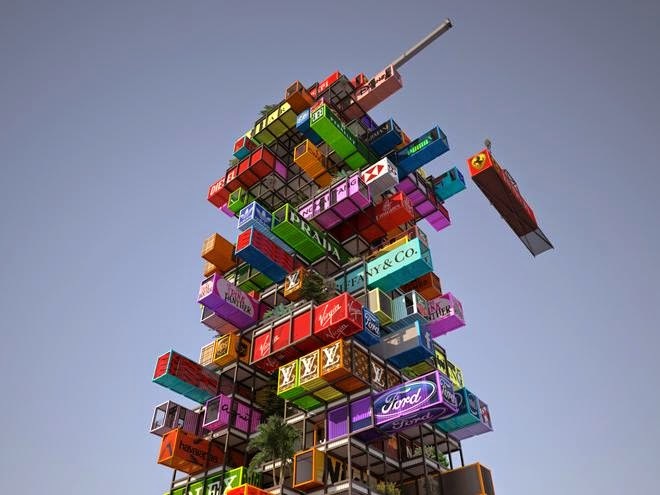 At first glance I thought these colorful containers looked more like a Jenga game than a hotel, but this structure is not intended to tumble over. 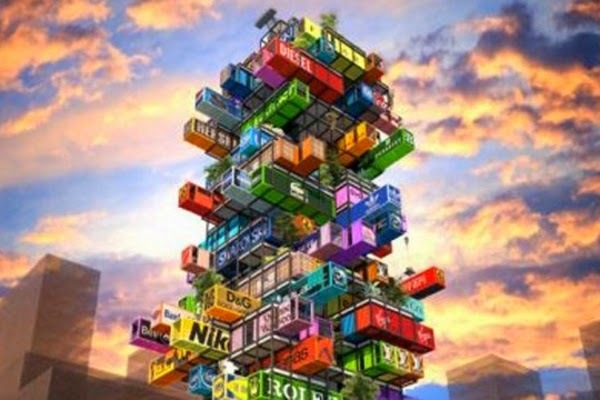 In fact these designer rooms can be traded in and out without disturbing other containers all by a crane that sits at the top of the structure. 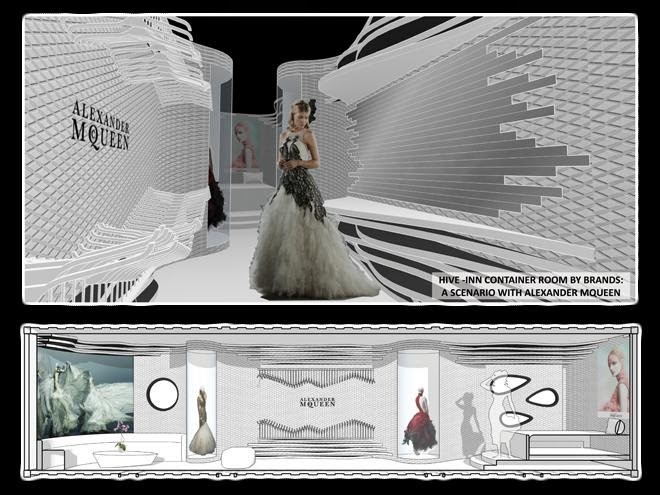 There is talk it would possibly travel onto other cities too! 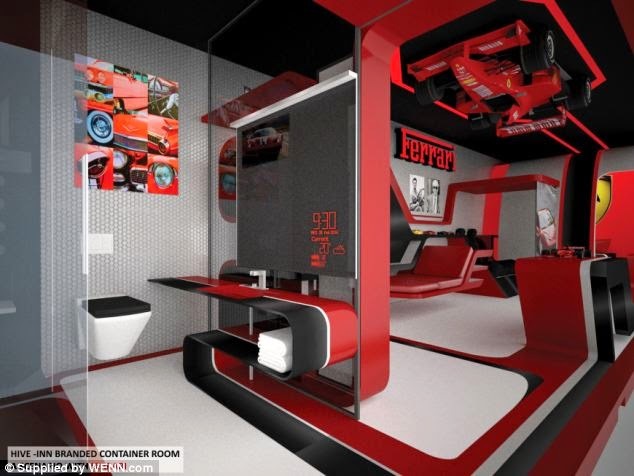 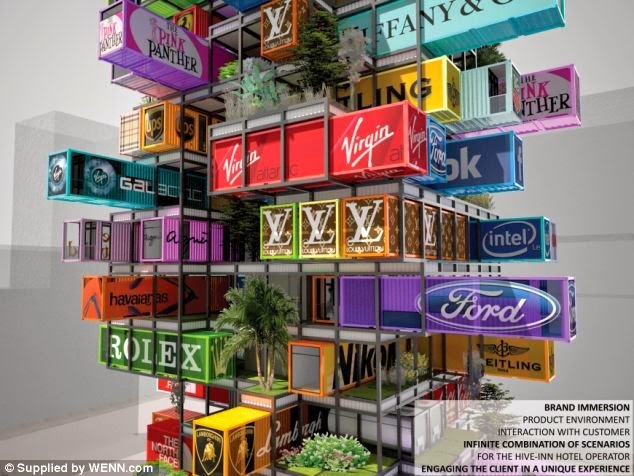 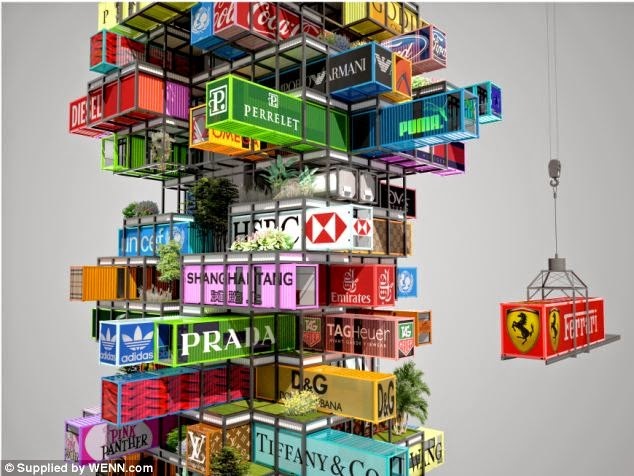 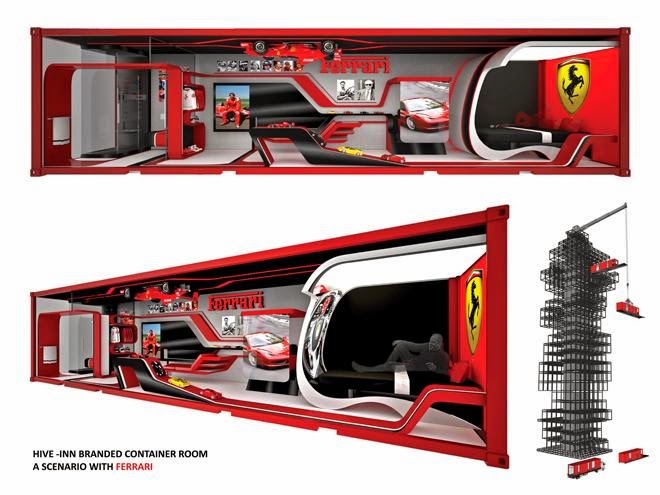 Made completely out of recycled shipping containers, these branded rooms would offer enormous advertising opportunities for the coveted and elite.